Alexander Shvartsman wins both the Mori International Open with 45 minutes and 30 seconds recharge per move, and the blitz tournament too. The blitz competition is won with one point distance from the Italian number one Alessio Scaggiante, third the russian Grigory Pismenny. 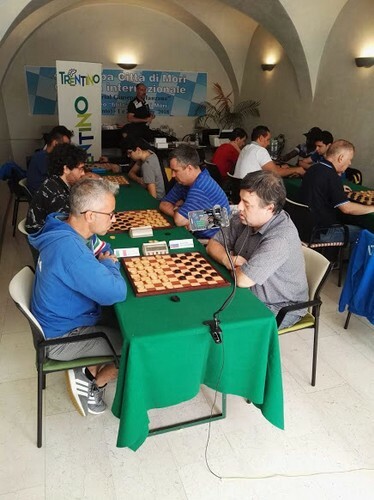 In the normal competition the world champion Shvartsman wins thanks to the victory in the last game against Luca Lorusso, while Scaggiante and Pismenny made draw in their last game, so Pismenny is the 2nd and Scaggiante is the third one. Fourth the player from Mori Moreno Manzana.